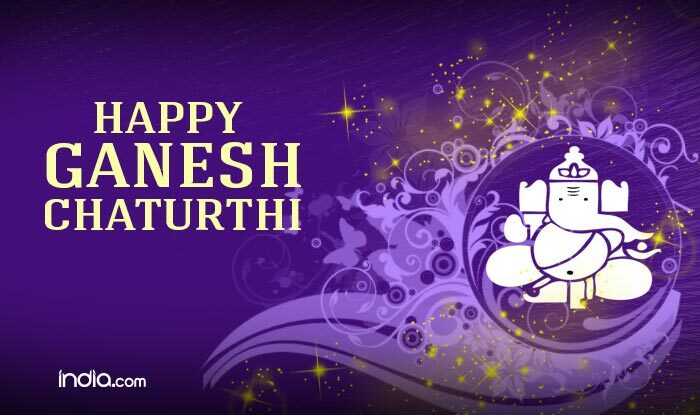 Ganesh Festival is the most famous festival in south India. People rejoice worshipping the Lord Ganesh the Elephant-headed God. This festival is celebrated for ten days, on the tenth day, the idol of Lord Ganesh is taken to nearest water body with dances and distributing prasads on its way to get immersed in the water body. 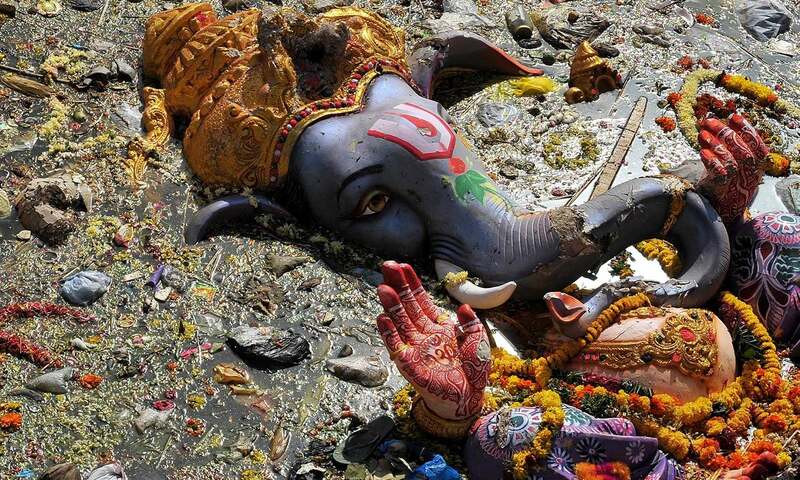 That closes the celebrations of Ganesh Festival. During this ten days, people would suffer with a lot of sound pollution. We could not hear anything until unless we close the doors, but we are very unfortunate that most of us use mobile phones which do not connect well if we close the doors, windows to talk on the phone. We cannot even watch the TV as the sounds from that pooja would be much higher than stipulated. Elderly people would die sometimes. 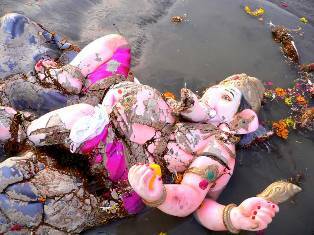 Every year during the immersion of Lord Ganesh, at least one would die for sure, this is known through the statistics since 2000. 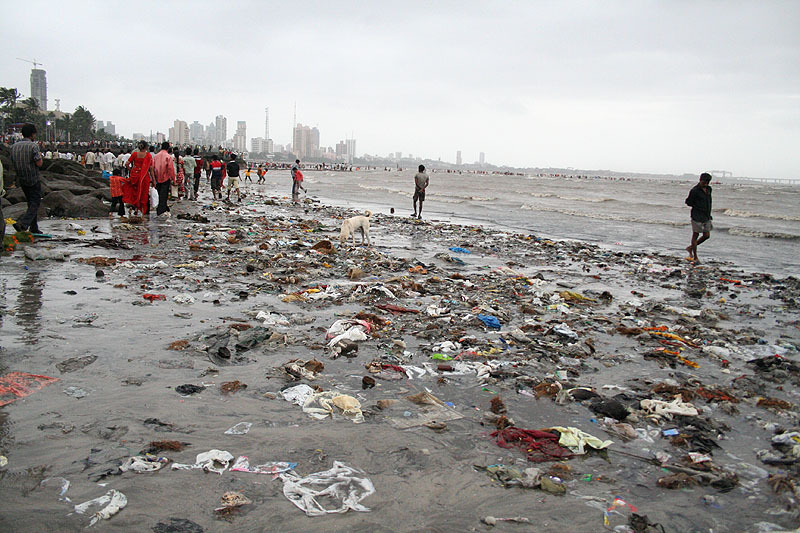 When folks immerse the idol in the water body the plaster of paris and other chemicals would dissolve in the water body making it extremely harmful to the living beings in the water body inturn people around it. It is always good to use eco friendly idols. Hope atleast this year things would go well. May Lord Ganesh motivate to use eco friendly idols. 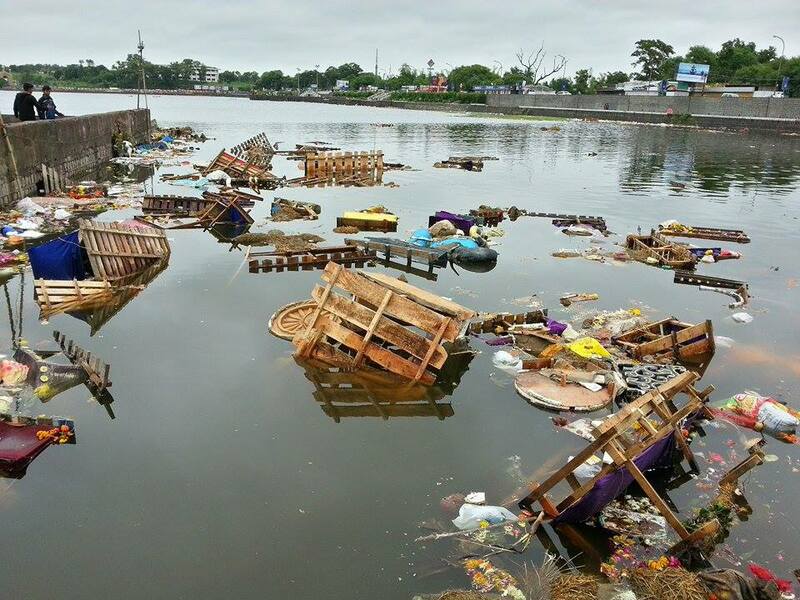 This is how we treat Lord Ganesh ones it is dropped in to the water body which is really a very sorry thing.